Intravenous (IV) therapy has been used by doctors for years to administer fluids and medications to patients in hospitals. However today, IV therapy is used for preventive purposes and to improve your overall well-being and treat illnesses. 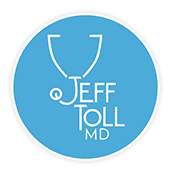 Jeff Toll, MD, offers IV therapy at his practice in Los Angeles. If you’re interested in feeling better and enhancing your overall wellness, call or schedule an appointment online today to learn more about IV therapy and discover if it’s right for you. IV therapy is the practice of providing fluids, medications, and vitamins through an intravenous drip. Dr. Toll and his staff offer a variety of vitamin drips, including B-vitamins, vitamin C, calcium, magnesium, and more. You can have IV therapy either in Dr. Toll’s office or during a house call. In addition, unlike many IV therapy locations that only give fluids and vitamins, Dr. Toll can make customized treatments including using prescription strength anti-inflammatories, anti-nausea medications, and other additives, to help you feel much better. Historically, IVs have been used in hospitals to provide essential nutrients, fluids, and medications to patients. However, IV therapy is emerging as an effective preventive health treatment for patients who want to enhance their well-being. It’s also an option for patients who aren’t able to absorb the nutrients they need through the food they consume. What conditions are treated with IV therapy? IV therapy is often used to supply your body with the vitamins and nutrients it needs to support optimal body function, and many patients elect to have regular infusions to enhance their overall wellness. IV therapy is also an effective way to provide medication and nutrients to address health issues like migraines and the flu. If you have chronic nausea, for example — such as if you’re having chemotherapy and feel too sick to eat — IV therapy can provide the fluids and nutrients you need. What should I expect during IV therapy? An IV therapy session takes approximately 45 minutes. You relax in a comfortable chair while Dr. Toll or a member of his team inserts the needle into your arm and connects the bag of fluids and nutrients. You can nap, read, or meditate during your IV therapy. You can also catch up on your emails. While Dr. Toll understands the need to maximize your time, he recommends taking advantage of this quiet time, where there are no other demands for your attention, by engaging in some much needed “me time” and self-care. You may notice that you start to feel slightly more awake and energized while you’re having IV therapy, but the effects should become more noticeable throughout the day. When you have IV therapy, Dr. Toll delivers the vitamins and nutrients directly to your bloodstream. This provides a much higher absorption rate than what your body can absorb through your digestive tract. You also feel the results more quickly and have more control over the dose of nutrients. IV therapies of vitamins, nutrients, and antioxidants are great for energy, skin, hair, nails, and stress. They can benefit you when you feel ill, as Dr. Toll can use medications to help with pain, nausea, dehydration, headaches, and more. If you’re curious about IV therapy, call or schedule an appointment online today.